Sugar-free candy has the potential to make your day take a disastrous turn toward the bathroom. This is probably the third week of being inundated with Halloween candy just about everywhere you go — from the notoriously early-to-stock drug stores to offices and maybe even in your own home. 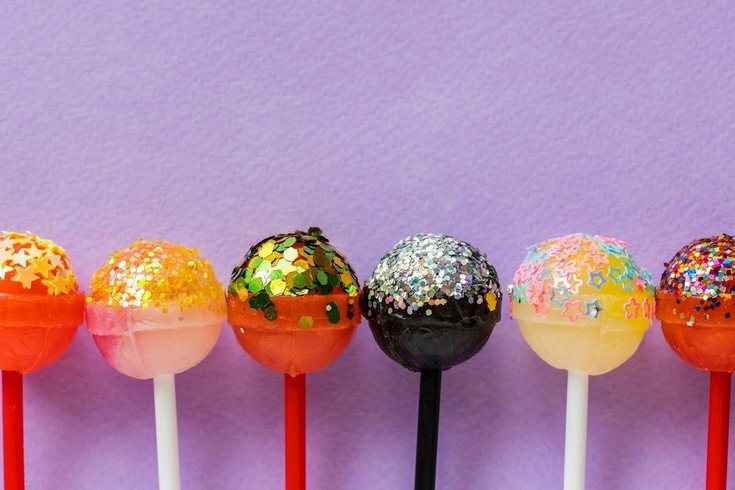 If you’re trying to be “good” this season, you might have opted for some sugar-free sweets to stock your desk and home candy baskets with, but this could be giving you all sorts of stomach issues, according to Refinery29. You may recall the viral news of sugar-free gummy bears giving people disastrous diarrhea from a few years ago, and it’s basically the same issue with all sugar-free candy — it’s the substitute sugar alcohols. These sugar substitutes are often used in candies because they're lower in calories and sweeter than table sugar, explains Philly-based registered dietitian, Danielle Zolotnitsky, to Refinery29. Some common names of these digestive turmoil-causing sugars are: sorbitol, mannitol, xylitol, isomalt, and hydrogenated starch hydrolysates. Other sneaky names are listed by the American Diabetes Association here. The reason these seemingly healthier sugar-free candy alternatives cause stomach issues is because we can’t fully digest sugar alcohols. As a result, our body reacts by sending water to our stomach and intestines to essentially "flush out" the sugar alcohol, according to Zolotnitsky. That flushing leads to diarrhea, she says. What doesn’t get “flushed out” sticks around in your gut and gets fermented, causing gas, bloating and those ultra-embarrassing stomach noises. According to Bustle, these are just the beginning of the stomach issues possibly caused by sugar substitutes. Other side effects could include dizziness, headaches and migraines, mood changes and more symptoms. Basically, this is your friendly reminder that just because something is labeled and marketed to be a “healthier” option — like sugar-free or even vegan — doesn’t mean that it’s actually a worthy healthy option. As we enter the candy-filled season – Halloween to Valentine’s Day – it might be a better use of your time, money and health to just opt for the regular ol’ candy, instead of sugar-free — with self-control, of course! We’re not eight year-olds coming back from a night of Trick-or-Treating anymore!